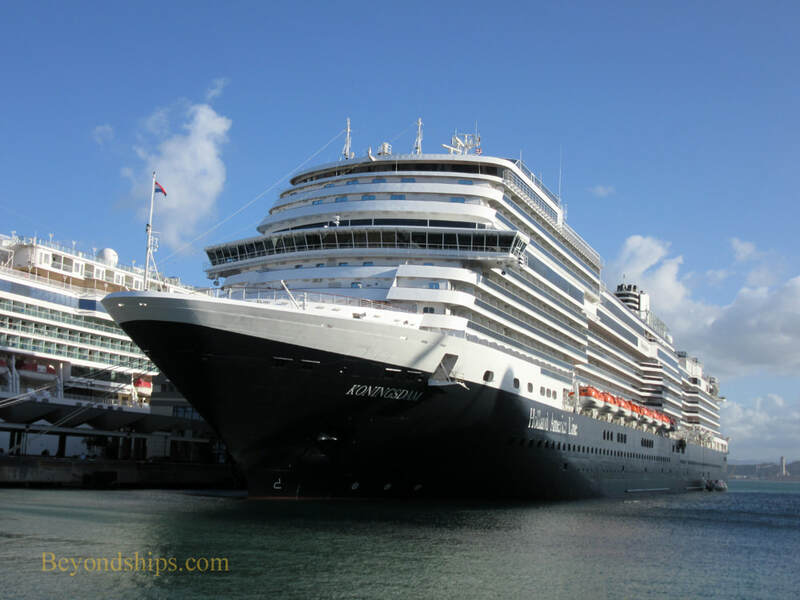 Konningsdam entered service as the largest ship yet built for Holland America Line. 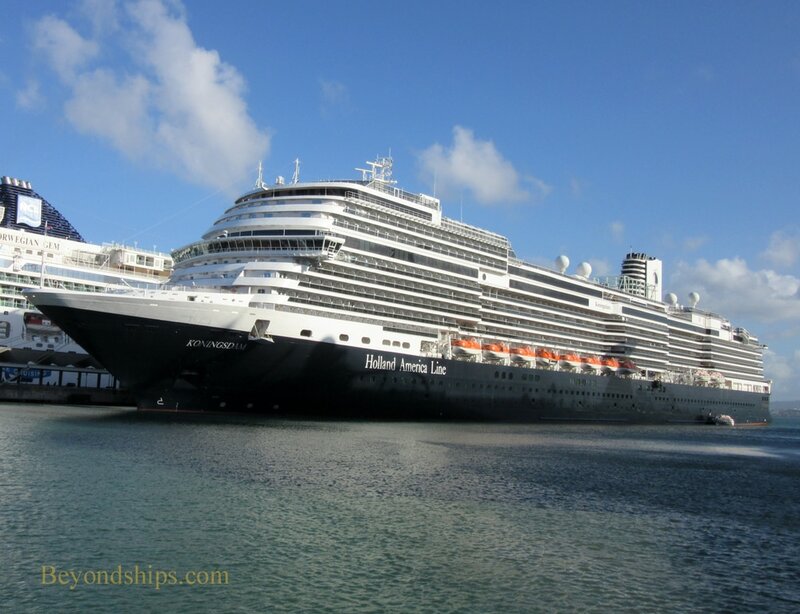 She is the first ship built in Holland America's Pinnacle class. In her outward appearance looks similar to the Vista and Signature class ships that preceded her. The most apparent difference is in the shape of the funnel, which is more streamlined than the prior Holland America funnels. Overall, the interior design of the ship has been re-thought by architect Adam D. Thang. It has a livelier look to attract younger cruisers. 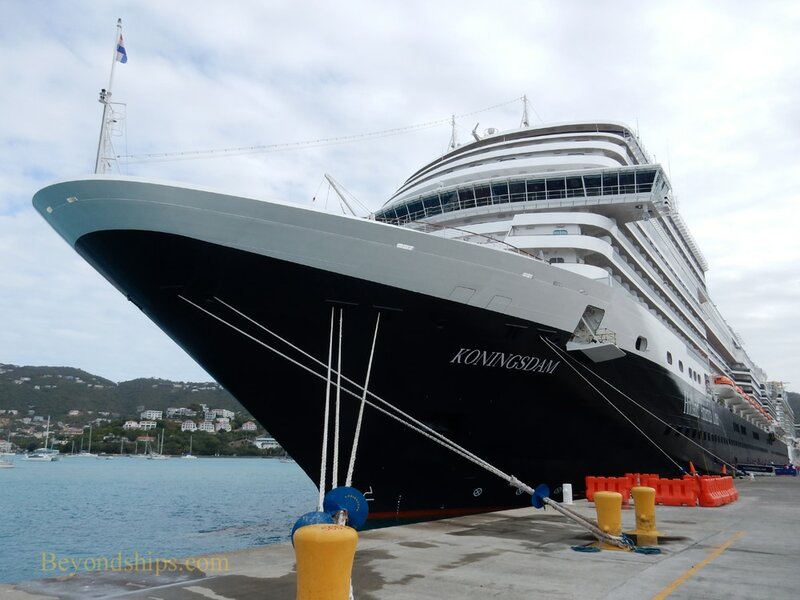 At the same time, it retains the quality and sophistication prized by Holland America's loyalists. Koningsdam has a musical theme. This theme is reflected in the decoration of the public areas with musical motifs and pictures of musicians.. Some of the decks even bear the names of composers. A new feature, the Music Walk features name-brand music venues including Lincoln Center Stage (classical music), Billboard Onboard (dueling pianos) and BB King's Blues Club (blues and soul). A larger ship means that there is more space. 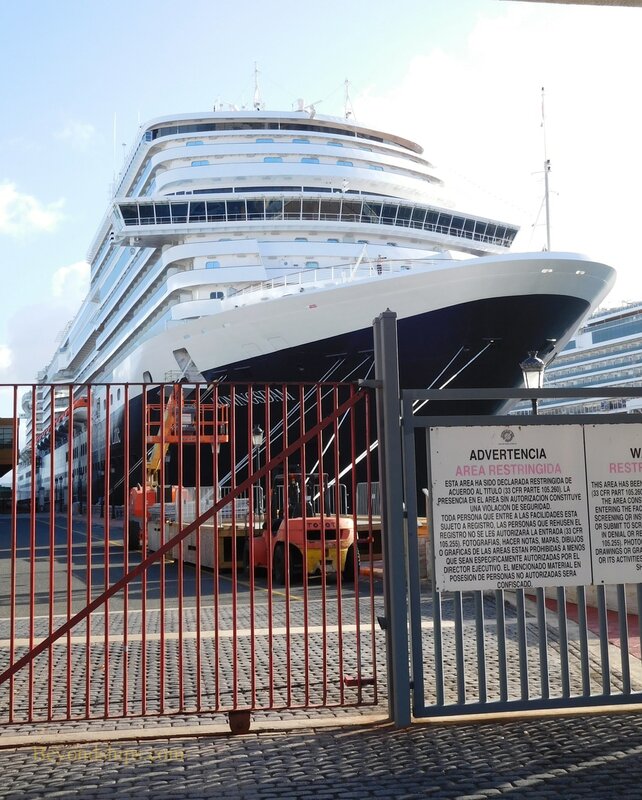 This allowed Koningsdam to have such things as a bigger atrium and a two-deck high main swimming pool area. The theater is a theater in the round and features a 270 degree video screen. 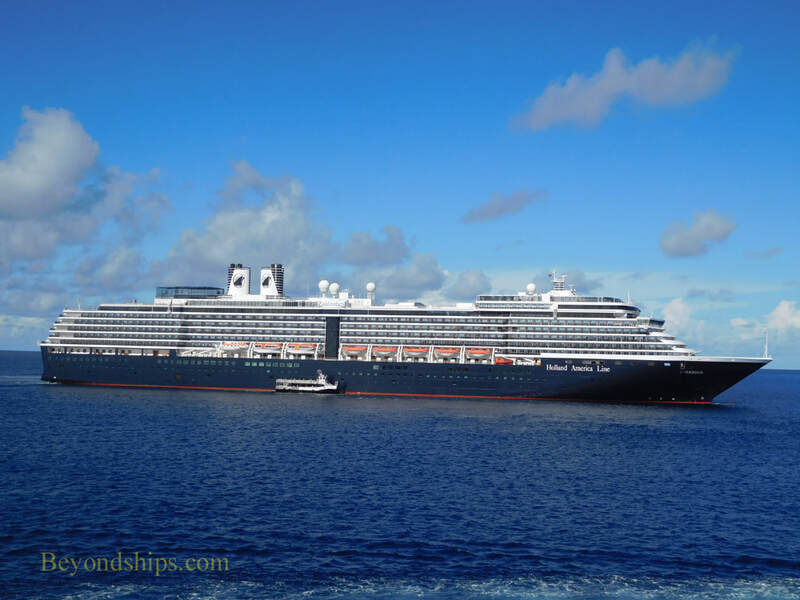 Koningsdam was also built with 35 cabins designed for families as well as a 12 cabins for solo travelers. 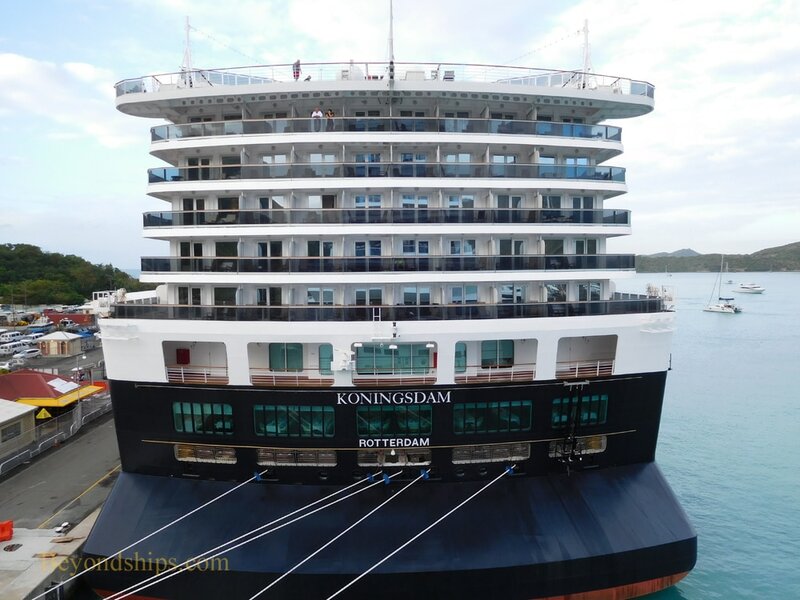 In addition to the main dining room, Koningsdam has several specialty restaurants including the Pinnacle Grill (steakhouse); Tamarind (Asian); Canaletto (Italian) and Sel de Mer (saefood). The Culinary Arts Center also transforms into a specialty venue in the evenings. There are also several casual venues including the Grand Dutch Cafe, a concept that premiered on Koningsdam. ​Koningsdam is powered by four diesel engines, which generate electricity for the hotel as well as for electric motors housed in two azipods. Her speed is about the same as the earlier Vista and Signature ships.